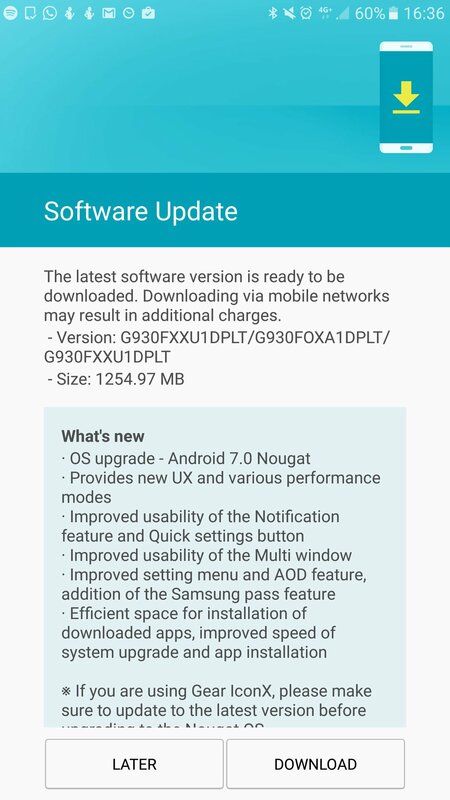 We recently told you that Samsung has started rolling the Android 7.0 Nougat update in the UK and now the company has officially confirmed the same via an official blog post that the rollout was started from January 17th to the flagship devices. The company also confirmed the devices that will get it in the near future. The company confirms that the devices like Galaxy S6, Galaxy S6 edge, S6 edge Plus, Galaxy Note5, Galaxy Tab A with S Pen, Galaxy Tab S2 (LTE unlock), Galaxy A3 and Galaxy A8 will get it in the first quarter of the year 2017. According to Samsung, the new update brings new and improved features and also enables faster downloading speeds for apps and system software updates. The new update brings Quick Panel and Notifications that comes with grouped notifications and also allow direct reply. The multi window feature allows the window size to be more easily adjusted in split screen view and with the with a new pop-up window function users can access up to seven apps at the same time. 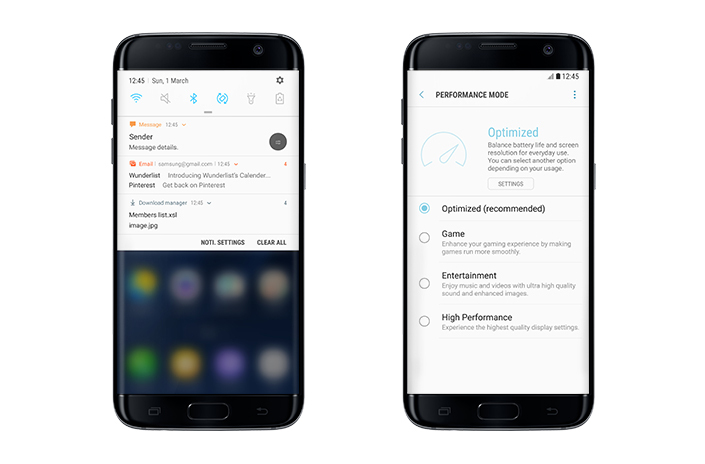 This new update also brings a performance mode that lets users optimize their smartphones to better meet their specific needs by activating one of the four available modes like Optimized mode, Entertainment mode etc. A new Samsung Pass feature is also added that works as a master key for website login on Samsung Internet. The users can login to selected websites and apps with Samsung Pass and can login via their fingerprint. The update comes with 1.3GB size as we saw a UK user getting it with built number XXU1DPLT. The Vodafone UK customers will get the update on their Galaxy S7 and S7 Edge starting 23rd January. To recall again, the Galaxy S7 Edge was launched with a 5.5-inch QHD Super AMOLED display and is powered by Samsung’s octa-core Exynos 8890 SoC. It has 4GB of RAM and 32GB inbuilt storage capacity with up to 256GB expandable MicroSD card storage with the help of Hybrid Dual SIM. It features a 12-megapixel Dual Pixel rear camera with f/1.7 aperture, smart OIS and a 5-megapixel front camera with f/1.7 aperture. It runs Android 6.0 Marshmallow OS and comes with IP68 rating for dust and water resistance. It is backed up by a 3600mAh battery.